Art world darling Dash Snow has died at 27 years old. He was found in a hotel room on Bowery Street in Manhattan this past Monday evening. His Grandmother, Christophe de Menil (photographed in the New York Social Diary) a well-known art collector and philanthropist has confirmed that he overdosed on heroin. I heard the news Tuesday evening while on the 6 train heading uptown to a movie shown for the first time publicly featuring The Jackson 5 in Africa (Imagenation). So to put it lightly (or maybe not so lightly), another one bites the dust. Another celebrity has died too young. Yet people die everyday throughout the world and most go unnoticed. What bothers me most is that we have watched these people who were deemed Pop culture icons, publicly self destruct. While I am completely saddened by the death of Michael Jackson, I am not so surprised by the death of Dash Snow. 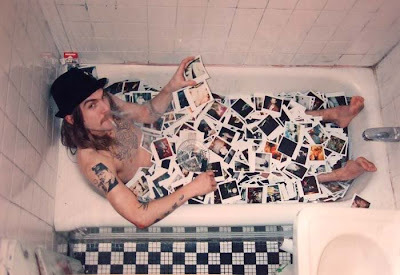 Snow, who exhibited his addiction via the route of Anna Nicole Smith, was a drug addict and anyone who is familiar with his art was able to witness his usage not only in multitudes of self portrait Polaroids, but also in video documented performances. He graced the cover of New York Magazine (Warhol’s Children, By Ariel Levy Published Jan 7, 2007) along with artist friends Dan Colen and photographer Ryan McGinley in 2007 alerting the public to his art and downtown social status. Advancements in technology have attributed to the voyeuristic fascination that the public has with pop culture where occasionally, artists fall into this category (note: Andy Warhol, Jeff Koons, etc.). 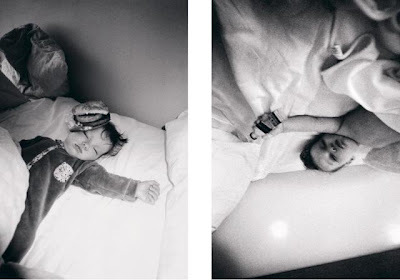 In researching Dash’s death, I’ve read comparisons to the photography of Nan Goldin, but while subjectively similar in the documentation of the sexcapades and drug usage of the underbelly of New York, in my opinion, Dash Snow was glorified in a different way and the two are in fact not much alike. In our society, the wealthy are both adored and abhorred and those who have wealth but try to deny it carry even more intrigue. Dash Snow fell into this category; his aunt is the actress Uma Thurman, grandparents on both the paternal and maternal sides were heirs to fortunes, and his mother made headlines for the highest summer rental in the Hamptons (a whopping $750,000). Yet all of the money at his fingertips, his early access to drugs and crime led him down a different path yet one that still gained him the respect and exposure that many never see. Was it all worth it? We are now left with collages, Polaroids, and other accouterments that will probably sell for exorbitant amounts at auction, the artist will live on and be glorified in the memories of those who admired his work, and his young daughter who will soon turn two, will grow up without a father and what I assume might even be a drug addicted mother. He had the balls to do it, to show the world his art. The art that others are probably making and living, but don’t have the means or outlets to physically print or exhibit. Now that same “art”, in a crossover where life imitates art and art imitates life, will carry on in the needles of others and in the case of Dash Snow, be no more.